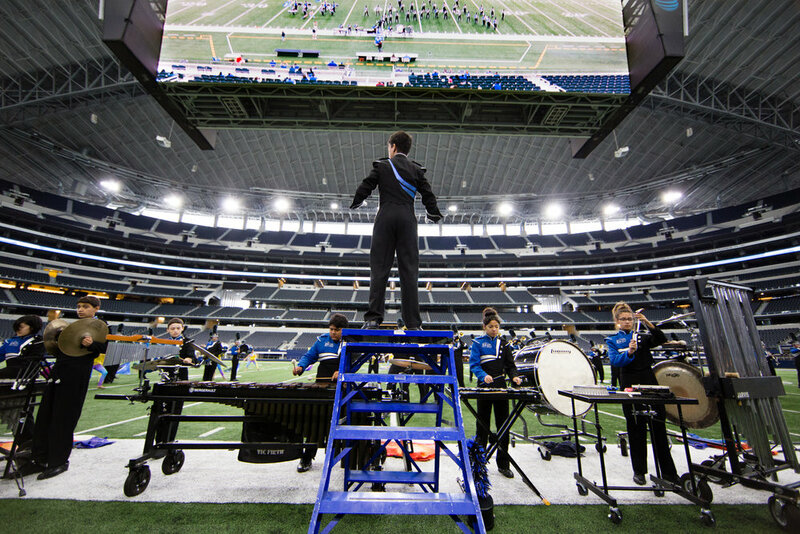 The award winning Nolan Catholic High School Viking Band offers a variety of activities throughout the year. In addition to music learning and performance, band membership provides opportunities for personal growth through student-directed leadership. The students work hard and take pride in their many accomplishments, supported by the Band Booster parent organization. Audition music for the 2019-20 year is available now. (Fine Arts Credit Available) – The Wind Ensemble (Symphonic Band) is the core of the Nolan Catholic Instrumental Program. The Wind Ensemble performs several concerts throughout the year and participates in TPSMEA and TAPPS sanctioned contests and other music festivals. Wind Ensemble is a full year commitment and students are required to participate in the Marching Band. Fine arts credit may be earned as well as a P.E. credit on completion of marching season. Placement in the Wind Ensemble is by audition only. The color guard is a non-musical section that provides additional visual aspects to the performance. The color guard performance generally takes place on a football field.. 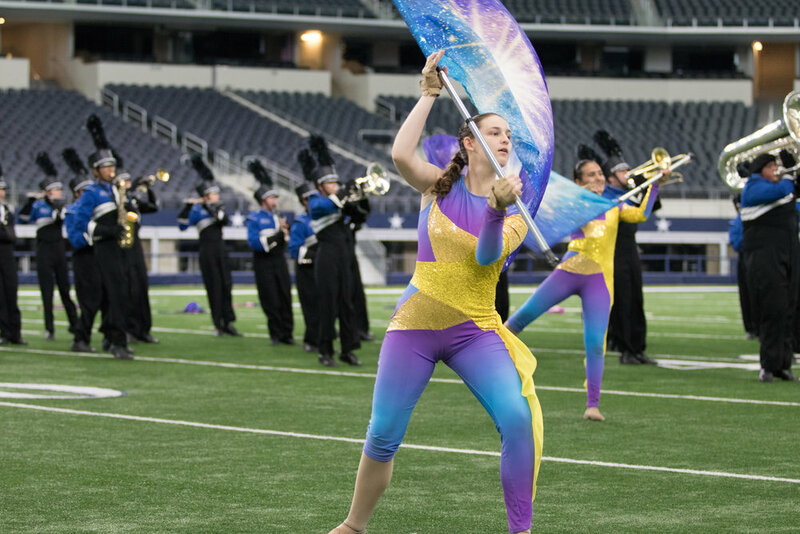 The color guard performs alongside the marching band at football games and most guards regularly compete in competitions during the fall. The color guard interprets the music that the marching band is playing via the synchronized work of flags, sabres, rifles, the air blade, and through dance. After marching season, beginning around November/December the guard switches into Winter Guard and perform inside on a gym floor. The Winter Guard will perform throughout the winter months into early April at various indoor contests to pre-recorded or digital music. (For Class Credit) – The String Orchestra performs several concerts throughout the year and participates in TPSMEA and TAPPS sanctioned contests and other music festivals. Instrumentation for the string orchestra are violin, viola, cello and double bass. String Orchestra is a full year commitment and placement for the String Orchestra is by audition only. Piano students desiring to join the string orchestra must audition before placement in the class is considered. Fine arts credit may be earned. (For Class Credit) Students with limited or no experience playing a band instruments have the option of joining the Beginning Band class. Instruments available are flute, oboe, clarinet, saxophone, bassoon, trumpet, french horn, trombone, euphonium, tuba and percussion. Information on joining the band class may be found by clicking the link HERE. Students will earn a fine arts credit on completion of the class and expected to continue participation in the Wind Ensemble following year. (For Class Credit) Students with limited or no experience playing a string instrument have the option of joining the Beginning String Orhcestra class. Instruments available are violin, viola, cello or bass. At this time we do not offer beginning piano. Information on joining the strings class may be found by clicking the link HERE. Students will earn a fine arts credit on completion of the class and expected to continue participation in the String Orchestra following year. (Non-Credit Class) Jazz Band is one of our premier groups of our instrumental program. The Jazz band learns and performs different genres and styles of jazz music and participates in TPSMEA and TAPPS sanctioned contests and other music festivals.Placement into the jazz band is by audition only and students must be current members of the band or orchestra ensembles.